Overview: The Nupe are a riverine ethnic group living along the Niger and Kaduna rivers in west-central Nigeria. The Nupe people cluster encompasses the Nupe along with several linguistically related peoples classified within Ethnologue as Nupe-Gbagyi. 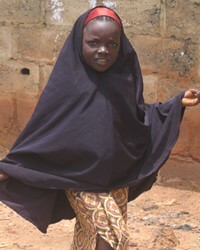 Many Nupe were converted to Islam at the end of the 18th century, but Christianity is practiced among the Gbagyi and ethnic religions are practiced by several of the smaller people groups.